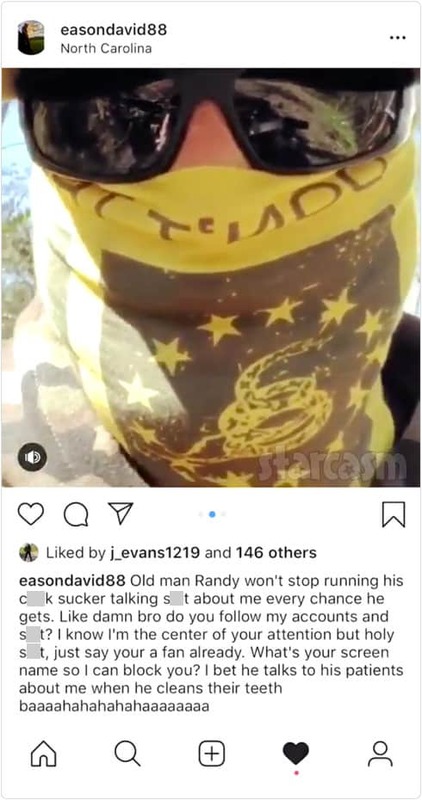 Jenelle Eason’s husband David Eason is on the offensive today! 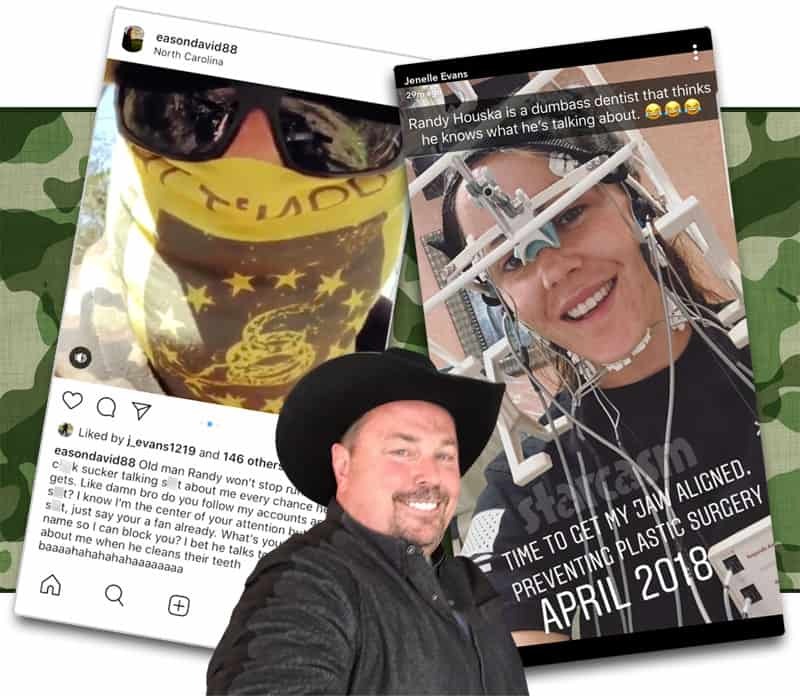 Hours after he attacked Kail Lowry, her mom, and Lux’s dad Chris Lopez in a series of comments on Kail’s Instagram photo, David shared a string of disturbing videos calling out Chelsea Houska’s dad Randy Houska, including and offer to re-align Randy’s jaw. Randy, who is a practicing dentist in South Dakota, responded to a Twitter post about Jenelle having her jaw aligned by tweeting: “Jaws are ‘re-aligned’ after they have been ‘un-aligned’.” Many speculated that Randy was alluding to the possibility that perhaps David had injured her jaw, speculation fueled by the recent 911 call placed by Jenelle in which she claimed to have been assaulted by David. “I think I heard my f**king collarbone crack!” she told the 911 operator through tears. 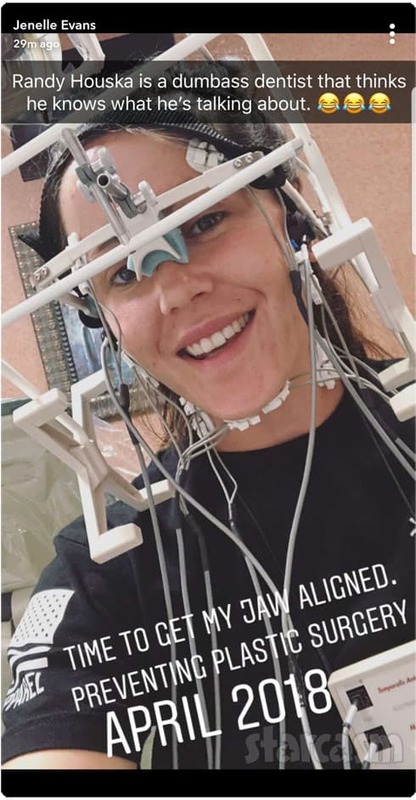 OK, back to the present and Jenelle’s jaw re-alignment. David took to Instagram and posted a series of videos offering to re-align Randy’s jaw and adding that he also knows how to pull teeth. In the third video, David is still wearing the Don’t Tread On Me flag acrss his face, but this time with some of his beard hair pulled up and out around his nose. “So you guys wanted me to grow my moustache out, heh? Hmmmm. Hmm. Hmm. I grew my moustache out just for you. Just for you. 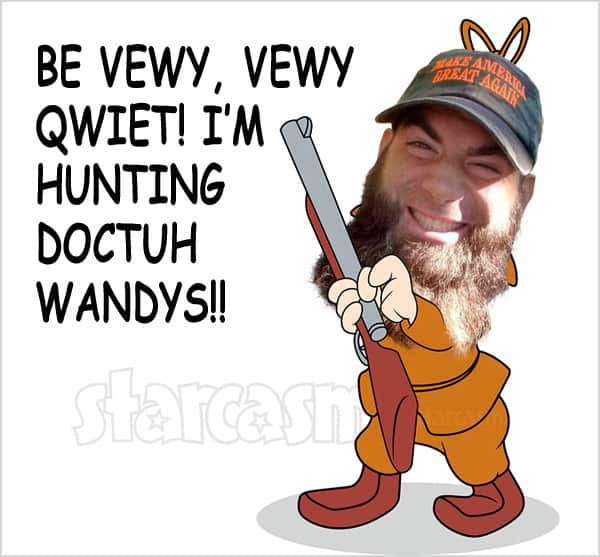 Since you guys wanna talk so much sh*t.” This is, of course, in reference to David’s infamous Amish good ol’ boy look with his long beard and no hair on his upper lip — which is reportedly necessitated by his “job” as a scuba diver. Someone tweeted David’s video and tagged Randy, and he responded by joking: “LOL, maybe I should send a #CeaseandDesist,” in reference to the cease and desist letters sent out late last year by Jenelle to cast members of Teen Mom 2 as well as members of the media. “I think I caught the dumb watching this,” @GraceReport said in response to the clips. “There is plenty to spread around,” Randy replied. I certainly hope Jenelle’s procedure went well! As far as David, I don’t think they offer re-alignment for his issues. Chelsea Houska’s best friend Megan Stroup attacks her on Twitter… all day!